I'm not really sure why it is that I was attracted to this book. Maybe it was it's title, but ever since I was in University the cover attracted me somewhat. Now I have read it twice, and it is an incredibly chunky book to read. This latest time has taken me three whole weeks, and I have to admit that it isn't one of those books that you can casually read. In fact, a part of me, as I was getting to the end, was kicking myself for not taking notes. However, if I was taking notes, it would have taken me a lot longer, and I probably would have filled an exercise books with scribble that afterwards I wouldn't be able to read (it actually makes me wonder if the art of writing is soon going to become a lost art, though I did have a teacher that refused to mark assignments printed out on a printer). Normally I would have just written a book review on Goodreads and left it at that, but a part of me felt that there is a lot that has come out of this book that I probably should write a blog post as well. However, before I continue, I'll share a little bit of background with regards to me and this book. When I was younger, back in the days when I wanted to get married, have a family, and become a hot shot lawyer, I wanted to have a baby just so that I could read this book to him (or her) when they were young. One reason for this is that a friend of my told me how he read his children the classics when they were kids, and since I'm one of those people who are a little different, I wanted to read them a book that people generally wouldn't read their children. Then again, I probably would have ended up reading them Machiavelli as well. However, when I suggested this to a friend at church she had a heart attack, claiming that it was a humanist text. Mind you, she now teaches English Literature at Harvard so I'm not entirely sure how that worked. I feel that a bit of background is pretty important when it comes to this text. Actually, background is probably important when it comes to any text, though if you happen to be one of those post-modernists that claim that context is pretty irrelevant then that is another story. Okay, I can be one of those post-modernists at times, but in the end I am one of those people that have grown up with the understanding that context actually adds a lot more to a text and in a way I don't think post-modernism can change that. The thing is that when we come to Leviathian, context is pretty important and does help us understand where Hobbes is coming from. The problem that England was facing was with the King. You see, King Charles was a tried and true Catholic, and also a tried and true monarchist, and there happened to be this institution, full of protestants, and pretty extreme ones at that (they closed all of the theatres because they were of the devil) objecting to the way that he was doing things. This eventually ended in parliament revolting against the king, and is also the reason why the Queen is no longer allowed to step foot in the House of Commons. Anyway, push came to shove, they went to war, and ended up removing Charles' head. Well, there was also this issue of Guy Fawkes who also tried blowing up parliament, and this has come down to a tradition where fire works are let off and mannequins are burnt on bonfires. This was a pretty chaotic period in English history, and if we look back a few decades we come to Shakespeare who actually warned us in numerous plays of the dangers that are faced when legitimate rulers are deposed. Well, it probably shouldn't surprise us how quickly people forget things because they pretty quickly forgot the horrors of the Wars of the Roses and decided that because the King didn't want to do things the way that they wanted, they might as well get rid of him. Even with Oliver Cromwell at the helm, things didn't turn out all that well - especially after he died, and the country eventually ended up asking Charles' son to come back and take the throne - and they also promised that they wouldn't remove his head. Mind you, that didn't last all that long before they got sick of next king (James II) and invited the William of Orange to come and take over which has come down to us as the Glorious Revolution (which probably wasn't all that glorious). So, it is into this turmoil that Hobbes has written his book, and in a sense it is a book that is designed to address the turmoil that England was facing at the time. It is a pretty chunky book, and it did take me three weeks to read, however it is also considered the progenitor of Political Science (which I still wonder whether it actually is a science). So, let us take a look at this book, and question whether it actually has any meaning for us today. Honestly, I'm not entirely sure whether you can actually call politics a science, but then again anthropology is also considered a science. However, at university both departments were a part of the faculty of arts, or as it has later been referred to, the faculty of Humanities and Social Sciences. According to Wikipedia, Political Science is the study of governments, and political actions, thoughts, and behaviors. Initially I was under the impression that political science only dealt with democracies since they tend to eb and flow based upon the population as a whole - yet it is clear that it similarly applies to dictatorships and cults of personalities. 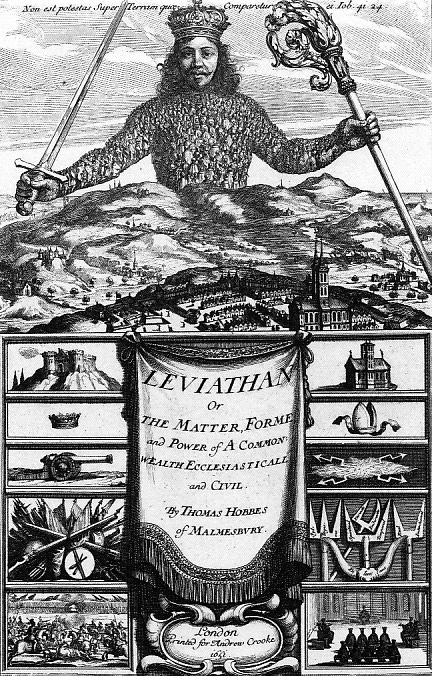 As it was suggested, Leviathan was the first book to explore the concept of political science. Sure, there have been lots of books on how a government should run, and concepts of the perfect form of government, but while that could be considered a part of political science, the subject goes much further than theorising on how governments should run. 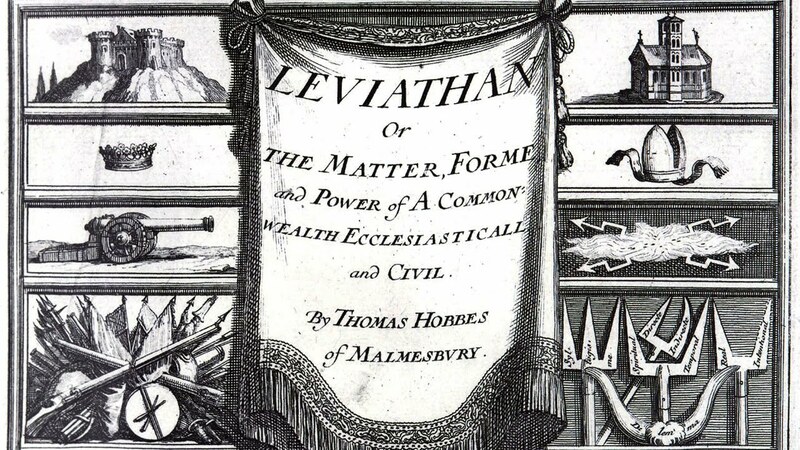 However, I'm not entirely sure whether you could consider Leviathan to encapsulate the science since Hobbes spends a lot of time arguing that the best form of government is a Christian commonwealth. In fact he is more concerned with stability than anything else, which is not surprising considering the era in which is was writing. 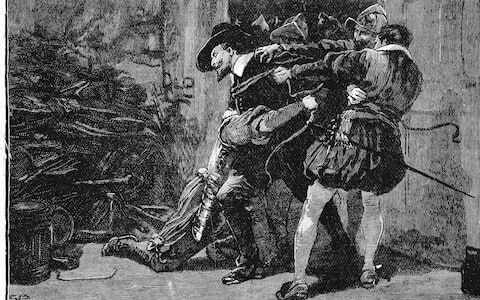 The Arrest of Guy Fawkes. One aspect of stability is being able to have a peaceful, and effective, change of government. This has been something that humanity has been struggling with for ages, but the reality is that it isn't really possible, particularly in a time of majority rules. What happens when we have an effective government that people universally dislike? Well, in a democracy they get tossed out and replaced with somebody that may be nowhere near as good (or downright terrible). We live in a world of political capital, opinion polls, and decisions based upon whether people will like you or not. I remember studying politics in High School. One reason was because politics is one of those areas that a lot of people, especially young people, want to become involved in. The problem is that the subject is not so much about how to become a politician, but how the system of governments are supposed to operate. Further, when you are studying the subject, one simply cannot bash a political party based upon personal opinions or personalities. Mind you, our teacher then proceeded to label a number of politicians as cretins. 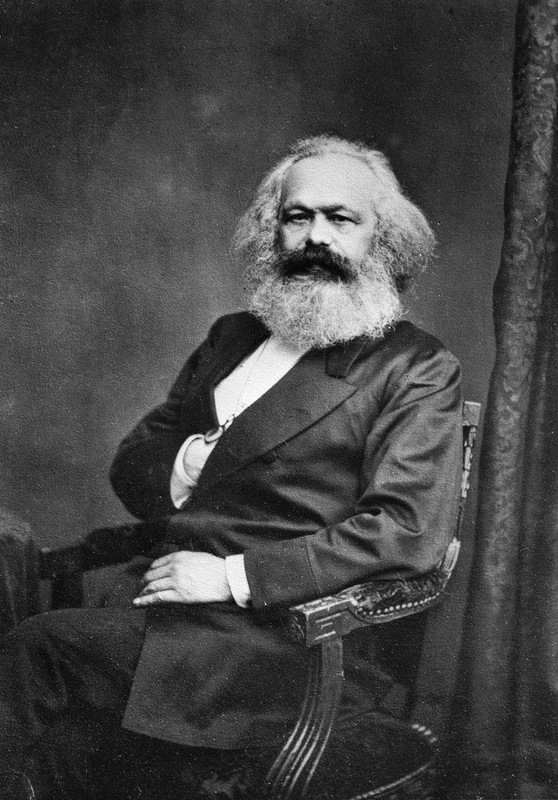 I also remember when we were talking about communism he proceeded to hang a picture of Karl Marx on the classroom wall, only to take it down at the end of the lesson because at the time Australia had welcomed a lot of Vietnamese refugees into the country, and many of them were studying English at the school. However, we did learn about how the Australian government functioned, how decisions are made and laws are changed, and also the branches of the government. We studied the political parties, and their differences (and, according to our teacher, the difference was that one sold off assets faster than the other), as well as how they are influenced. As such journalism and the lobby industry were explored. Finally, we also looked at two other systems of government, namely the American model and the Chinese model. The interesting thing is that the one party states can be just as complex as our democratic models, and just because the country is ruled by a single party does not mean that there aren't factions within the party - it is just that party control is much more strict. This is a topic that has been dominating Western Civilisation since the time the Roman Empire officially become a Christian country. 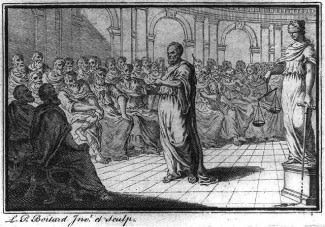 The emperor Theodosius attempted to nominate 'his man' as patriarch of Constantinople. He was then promptly rebuked and told that there was a line that the secular authority did not cross, and that line was the line that he was standing in front of. The bishops then presented him with a short list of their preferred candidates and made it clear that it was from this list that the choice was to be made. Since that time there was a limit of the secular powers over that of the church. 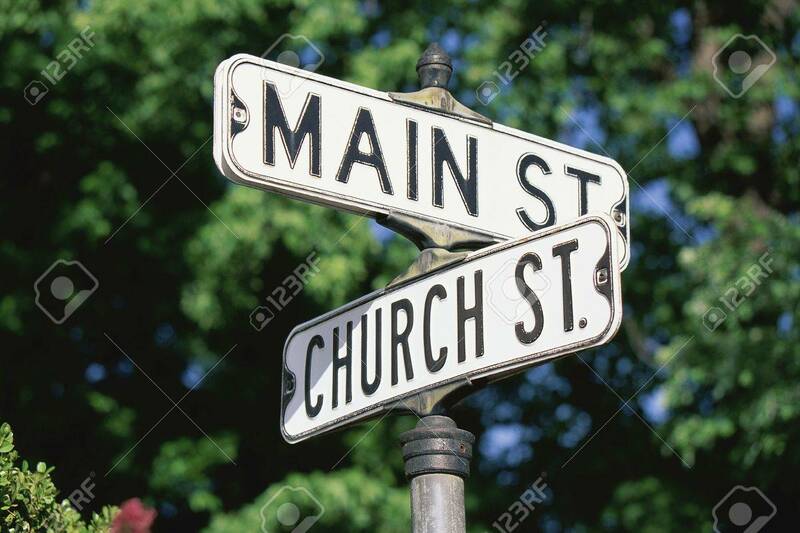 However, this wasn't a two way street, and while the Emperor was prohibited from interfering with the operation of the church, the opposite wasn't the case. In fact, this event effectively established the church as a power that sits over the state. This was the way things worked for the next millenia, that is until the kings began to rebel against the decrees of the Pope, which led to the great schism and the Avingnon Captivity. Up to that time the Pope held a huge amount of power over the kings, with threats of excommunication forcing them to bow to his will (though in one case the Pope was female). Since it was believed that the Pope was Christ's representative on Earth, and that when speaking from his throne, the decree of the Pope was considered scripture, it was believed that the Pope could effectively deny somebody a place in heaven. 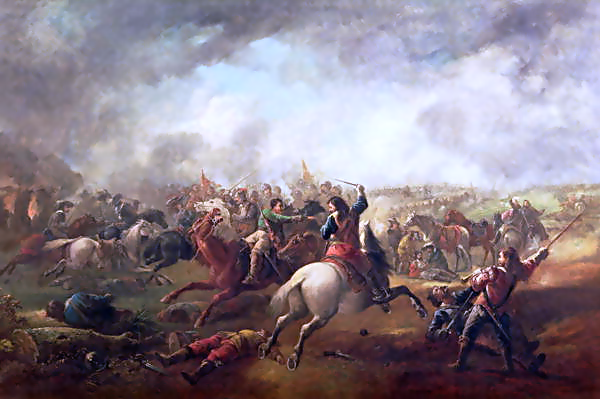 However, this collapse in Papal authority led to the reformation, and in turn the English civil war. The original cover for Leviathan is quite interesting in how this dual sovereignty is illustrated. Here is an image of the original (though the edition that I read only had a part of the cover). The interesting thing about England is that it's reformation went in completely the opposite position - the King broke away from the Catholic church and made himself the head of the church. This isn't what happened elsewhere, such as Germany and Switzerland. Then again these countries were pretty decentralised which is why it didn't happen that way. However, the thousand odd year tradition had been turned on its head, and instead of the popes controlling the kings, the king now appointed the bishops and archbishops (though these days the Queen pretty much rubberstamps everything). This is what we see in the cover - here we have the sovereign, holding the sceptre in one hand, and the religious staff (or crossier) in the other. Note that the body of the sovereign (and it looks as if it could be King Charles), is made up of hundreds of people, which represents the citizenry. This symbolises the social contract, in that the king agrees to rule fairly and justly, and to provide peace and security, and the citizenry agree to accept the sovereign and to pay their dues. Below the main image with have 10 panels, on the left symbols of secular authority (the castle, the crown, the cannon, weapons, and the battle), while to the right we have symbols of religious authority (the church, the mitre, excommunication, logic, and prayer). This gives us two images - one of conflict, and another of a balancing act. However, there is a limit to the separation of church and state. The church is not a law unto itself. If the government makes a law then the church is expected to abide (within reason) to these laws. Okay, we do have times when the churches refuse to acknowledge unjust laws, and we have instances of them offering sanctuary to refugees. However, there are also other laws which seem to be obsolete - such as being tax exempt. Yet the tax question is an incredibly tricky one, since there are a lot of good churches that would go under if they were suddenly forced to pay taxes. On the other hand we have churches abusing their tax exempt status. To put it simply, Hobbes doesn't particularly like democracy, but then again neither did Shakespeare - however I deal with that below. At first Hobbes explores the types of government, and also explores the idea of the social contract. This, as mentioned above, is a contract between the citizenry and the sovereign to fulfil their mutual obligations. Mind you, the idea of mutual obligations are bandied about here, such as the concept of working for unemployment benefits. This is something that I technically don't have a problem with, as long as the work is fairly rewarded (which it isn't). You see, unemployment benefits aren't free money, it is money to tie you over while you are between jobs. Hobbes, in a sense, is a traditionalist. The only effective form of government is the government by a monarch. However, he does recognise that the monarch theoretically has unlimited power - basically he can do what he wants. This was one of the reasons that the United States broke away from England, and why the French revolted. Yet, in a purest sense, this is the case. This is solved these days through the use of constitutions - these documents restrict the power of government, and are designed to prevent one person from being entrenched. In Australia, the Federal legislative body only has power to make laws in areas that section 51 of the Constitution gives it the power to do so. If parliament attempts to make laws outside of those areas they can be struck down by the High Court. Mind you, for that to happen, somebody needs to challenge the law in the High Court. So, the theory is that parliament can do anything, unless it is outside the scope of the powers granted in section 51, and somebody challenges them (and the High Court agrees). Hobbes spends half the book exploring what he terms the Christian Commonwealth. This section basically looks at how the church is construction, and also how the Bible demonstrates the sovereign authority of God. In a sense, because God is the perfect king, then the only true form of government is that where there is a king. The problem is that humans aren't perfect - far from it. Yet, Hobbes does not believe that it is our right to remove a king, for to remove a king is to rebel against God. Actually, the Bible is pretty clear on that, particularly when Paul points out that the government is instituted by God. But, I might hear some say, surely Paul, and Hobbes, couldn't be talking about somebody like the Trumpet. Surely we can #Resist him. Well, first of all, remember that Paul actually lived under Emperor Nero, and he was pretty atrocious. As much as we may not like the Trumpet (and I'm not particularly impressed with him), I'm not sure if we can say he is in the same league as Nero. 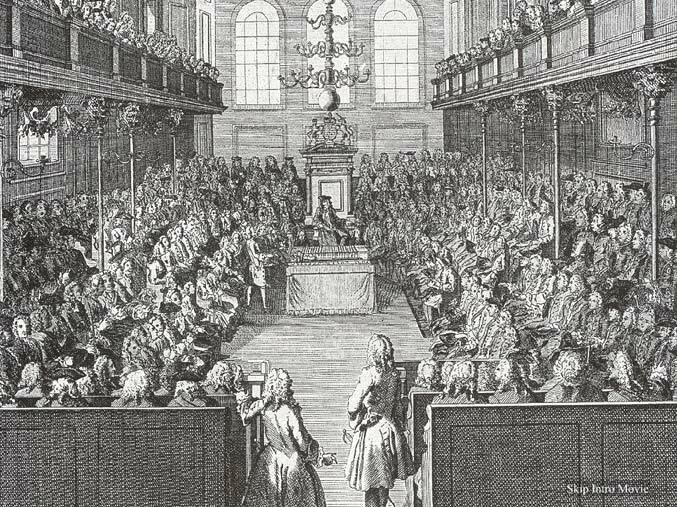 As for Hobbes, well he had to deal with Charles I, and look at what happened when the parliament attempted to #Resist king Charles - war broke out. Now, I'm not saying that we shouldn't hold governments accountable, and speak out when they do things that do things that we do not agree with. Yet, there is a line between speaking out against a government, and actually rebelling against a lawfully appointed government. Hobbes' point is that stability is the key, and sure, there are debates as to what rights we give up for stability, but sometimes this is necessary. The fact that we have police roaming the streets means that our streets are safe to walk down - take away the police and I can assure you that all hell will break loose. Believe it or not, Plato wasn't a particularly big fan of democracy, and neither was Shakespeare (who compared it to mob rule). 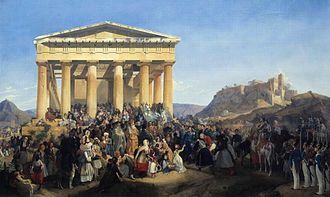 Okay, the Bible doesn't mention democracy, namely because there was no need to (though there is little reference to Greece in the Old Testament, and the New Testament starts after the collapse of the Republic). Democracy has been seen as the method of government of the civilised state, yet there are limitations, as we shall see. First of all democracy, meaning rule by the people, changes with the attitudes of the people. Notice how when Egypt tossed out Mubarrack and went to elections, the Islamic Brotherhood was swept into power. A similar thing happened in Palestine with the election of numerous members of Hamas. South America has also had situations where pro-Russian governments were elected during the Eighties, and this change in the balance of power led to some rather bloody coups (such as with Pinocet in Argentina). Another problem is what is known as the demogogues. This was the problem that Athens faced, and we also face today. The rulers that may actually be quite competent are resoundingly defeated by those who will pretty much say anything to get elected. This brings up the issues of the 'core' and 'non-core' promises that were used effectively by the Liberal government here in Australia. The core promises are the ones that the candidates plan on sticking too, while the non-core promises are those that can be discarded at will. The problem is that we don't actually know what the core and non-core promises are until after the government has been elected. Democracies are also governments by the majority, which basically means that minorities end up getting left out in the cold. As such, something that might actually be beneficial for a society routinely get tossed out in favour for things that make the majority happy - what do you want, a clean Earth or cheap electricity. Jobs and growth is also a big mantra, and companies regularly use this as an excuse to resist change. They also use it as a way of blackmailing governments to their will - do this or we will have to shed jobs (and the companies end up shedding jobs anyway). I guess that is the million dollar question. The problem is that in the modern state, governments are beholden to the people, so in the end do only what the majority of the people what them to do. It is basically a numbers game - if doing something will upset a few, but make a lot more happy, then do it. Voting trends also are a key factor, so a government is more likely to do something in swing seats, while the regions that regularly vote against them are either ignored, or even punished. As for those in safe government seats, then they tend to be ignored as well (namely because they will always vote for the government). The rise of the minor parties, at least in Australia, is changing this somewhat. Suddenly seats that were originally considered to be safe, are now becoming contested, forcing governments to start paying attention. Yet the problem is also our attitudes - we want the government to do things, but we won't actually do them ourselves. The cult of personality that has arisen turns party leaders into messiahs, and when they fail that leaves us disappointed. We blame all of our problems on the government, and look forward to the time when the current lot is kicked out, and the other lot are voted in - times should then be better. In a way it is a form of idolatry. Mostly, though, it is the attitude of the people. Okay, I'd also rest some of the blame on the media as well: they have the power to set the agenda. The pro-refugee movement may spend time and money on attempts to help people understand that refugees aren't evil, and that the unemployed aren't lazy, but all it takes is for one 'shock jock' to say something to pretty much undermine all of that work. This thus raises a question of freedom of speech, but that is another topic for another time. "Many forms of Government have been tried, and will be tried in this world of sin and woe. No one pretends that democracy is perfect or all-wise. Indeed it has been said that democracy is the worst form of Government except for all those other forms that have been tried from time to time.…"
The second is that, if you can find it, George Trevelyan's historical work, England Under the Stuarts is an outstanding account of the period of history between James I and James II. Well worth the read. I agree with Churchill. With all the other options available, with all of its flaws, Democracy is probably the best form of government. However, it is interesting looking at how people of the past viewed the whole concept. The thing is that, unlike Shakespeare and Hobbes, we live in a pretty advanced form of democracy with checks and balances, yet all that had to look back upon was the chaos that emerged from the Roman Republic. I'll makes sue to look out for Trevelyan's work.